After winning free of the dream city of Brianston and defeating the titanic dragon, Gruon, Mage Questor Grimm Afelnor and his companions march towards Rendale Priory to confront the evil witch, Prioress Lizaveta. 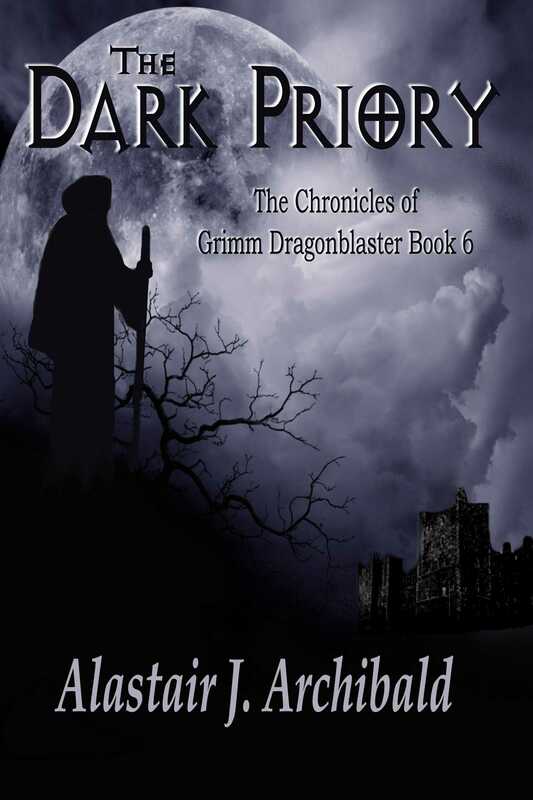 Unbeknownst to Grimm, who has now lived up to his Guild soubriquet of 'Dragonblaster', Lizaveta knows of the party's approach, and she has magically kidnapped the young mage's secret lover, Drexelica. When the Dragonblaster reaches Rendale, the evil Prioress will be ready for him. Genre: Fantasy / Action / Adventure Read the entire incredible Fantasy series from Alastair J Archibald! A MAGE IN THE MAKING [THE CHRONICLES OF GRIMM DRAGONBLASTER BOOK 1] WEAPON OF THE GUILD [THE CHRONICLES OF GRIMM DRAGONBLASTER BOOK 2] QUESTOR [THE CHRONICLES OF GRIMM DRAGONBLASTER BOOK 3] TRUTH AND DECEPTION [THE CHRONICLES OF GRIMM DRAGONBLASTER BOOK 4] DRAGONBLASTER [THE CHRONICLES OF GRIMM DRAGONBLASTER BOOK 5] THE DARK PRIORY [THE CHRONICLES OF GRIMM DRAGONBLASTER BOOK 6] and coming in March 2013, the seventh and final thrilling book, RESOLUTION [The Chronicles of Grimm Dragonblaster Book 7].